Partnering with respected advertising agency, HMC, for the complete rebranding of Northfield Savings Bank was a unique and welcomed opportunity. HMC tasked us with bringing their designs and rebranding to life by providing web development for the site build out. Additionally, we were given the opportunity to develop an accompanying mobile app for customers to perform their banking transactions through user-friendly navigation and accessibility. 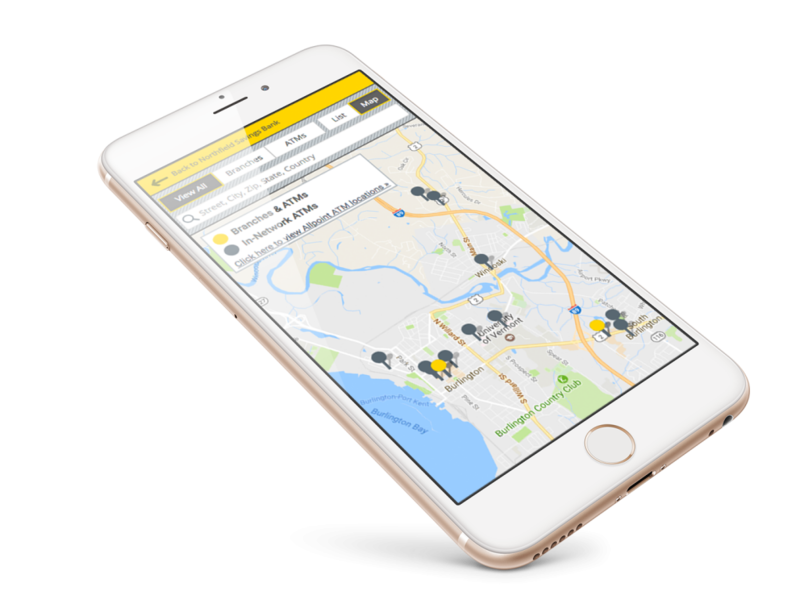 The app reflects the same rebranded look and feel of the new site while providing convenient features such as account monitoring and an ATM/Branch Locator.